Summer is almost here, and it’s a great time to shop for a new air conditioner. These days, there are a lot of options to choose from and new technologies to consider when selecting a new AC. So we’ve put together this guide, along with our expert’s reviews and recommendations, to help you decide on a unit that fits your needs and budget. And if you buy a new unit in spring, you may even get a rebate. Utility companies often offer rebates this time of year — like Xcel Energy’s rebate offer — and local dealers may have specials, as well. Comfort. Keeping your home cool and comfortable for your family is your AC’s first job. But another comfort factor that’s often overlooked is how well your AC controls indoor humidity. There are features available on newer AC units that significantly improve on dehumidification. Not only will that make your home more comfortable, but it will help control mold and mildew, as well. Energy Efficiency. The industry standard to measure AC efficiency is the SEER rating. The SEER (Seasonal Energy Efficiency Ratio) rating measures the amount of work your AC does — the number of BTUs of heat removed — for each watt of energy it uses. The higher the rating, the more efficient the unit. As an example, a 19 SEER AC will remove six more BTUs per watt than a 13 SEER unit — using 32% less energy for the same amount of cooling. Reliability and Ease of Maintenance. You’ll want to look for a brand that has an excellent track record for quality, reliability, and service. Carrier, with over 100 years in business, is a leader in the HVAC industry. Their heating and cooling products are known for quality and dependability, which is why we, at Stay Comfy, recommend them. If it’s been a while since you’ve shopped for an air conditioner, you may be surprised by the new technology that’s available. It used to be that all central ACs worked in an “on” or “off,” or single stage, basis. These units are still manufactured and represent the bulk of ACs sold today. That may be due, in part, to the fact that many homeowners aren’t aware of other options they have or the benefits that those options provide. 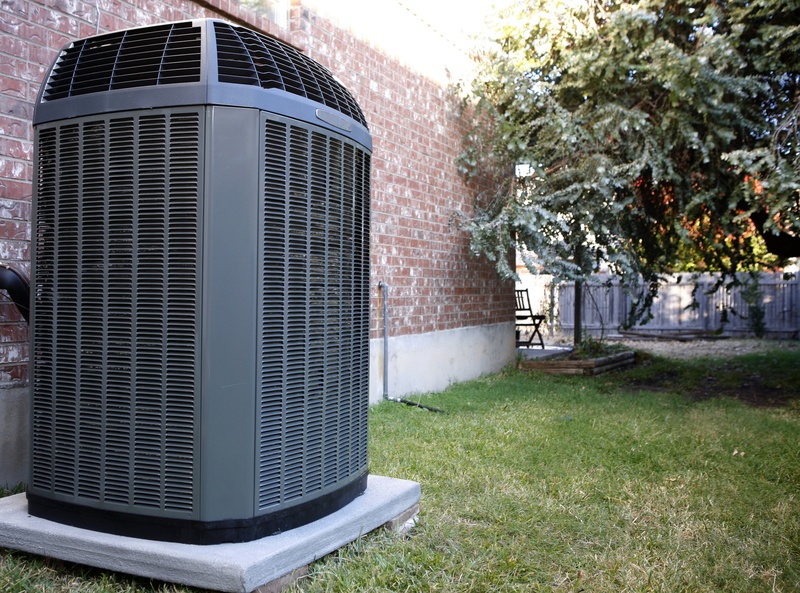 Here are two other types of air conditioners to consider. Two-Stage ACs. While these have been around for twenty or more years, they have been quite expensive and not very reliable. However, the new units are competitively priced and far more dependable and durable than their predecessors. A two-stage unit operates in a low capacity mode on moderately warm days. This makes for a longer run time, which removes more humidity than a single-stage unit. Only in hot weather will the unit operate at high capacity. In essence, it’s as if you had two air conditioners — one for mild weather that does a better job removing humidity and another, bigger one to handle the really hot days. Now that you know what to look for in an efficient, reliable AC, here are Stay Comfy’s recommendations for best air conditioners for 2018. The Carrier Comfort Series offers economical models that range from 13 to 16 SEER ratings. They also feature an aerodynamic top for quiet operation and a ten-year warranty on all parts. These are great units for those on a budget. The Carrier Performance Series features models up to 18 SEER, an aerodynamic top, plus a sound blanket for even quieter operation. There are single-stage and two-stage options. When paired with a variable speed furnace blower, the two-stage option has increased dehumidification capacity. It also carries a ten-year parts warranty. The Infinity Series is two-stage, super-high efficiency units (up to 21 SEER) with even more sound reduction features. All models have a two-stage compressor for improved comfort and enhanced dehumidification when matched to a furnace with a variable speed blower. The absolute top of the line is the Carrier Infinity Series model 24VNA9. It features a variable speed compressor for the ultimate in comfort and quiet. The five-speed compressor matches precisely what your home needs to keep the humidity low and the temperature at perfect levels all summer long. Surprisingly, despite all of the features this unit has, the physical size is quite small. So, if you’re looking for super comfort, super efficiency, and an inconspicuous outdoor unit, this is the AC for you. Pair this with the Infinity 59MN7 modulating furnace and you’ll be as close to perfection as you can come in an HVAC system today. How Much Clearance Should I Leave Around My Air Conditioning Unit? HVAC 101: What’s a Ventilator or Air Exchanger? Should I Replace My Furnace and AC at the Same Time?